You can move any selected object and then define a relative distance to other objects near by. In the image below, the middle line was moved and now displays three measurements (Green). 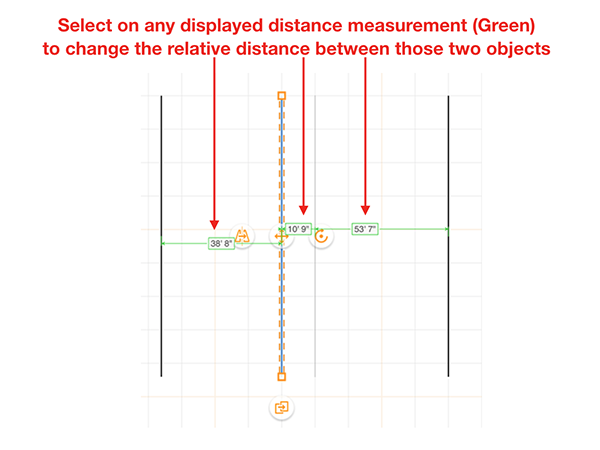 Tap on one of the measurements to specify a specific distance to create between the two objects.